Internet data in Nigeria had lately in 2015 been on a low price and at its best. Brain News NG believes its from the reassessment of Telecommunication networks in Nigeria otherwise known as Network providers data rates, data cap and customers reactions by the NCC. *58 for 4.5GB @ N2,500 send all the above ‘codes’ to 127. Or dial *127*(Code above)# and so on. And finally for help on that ‘send info to 127’ in a text message. * For 1,200MB (1.2GB): dial; *777#, enter 1, after that choose one (1) again, then press 2 and lastly choose 1. Valid for 30 days. or simply dial; *777# send to begin. * N1,000, 1GB, 30days, dial *496#. * Opera-Mini Plan: 1 month, 260MB, N300, to activate: dial *885*1#, Data Bal; *885*0# (Note: Works on all Apps especially on Android OS, but not sure on Windows mobile. lol! )This plan is rated as one of the best ‘internet data conservative plan in Nigeria’ by Brainnews NG). * Weekend plan: *473#, 500MB, N500. 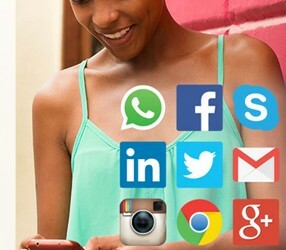 * 4.5GB: @N3,500, 1 month, With unlimited access to Facebook, Twitter, BBM, Whatsapp, 2go. Medical Confirmed Ways To Test A Woman’s Vir ginity! Men You Need To Try This!